BRYAN EATON/Staff Photo. 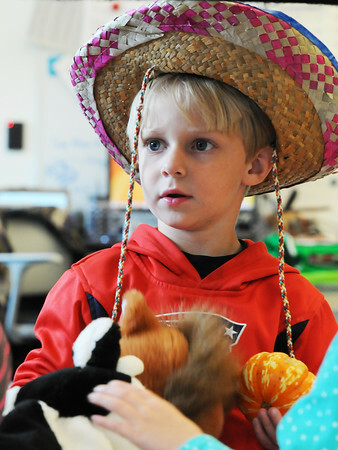 Logan Winters, 4, plays the farmer giving food to the stuffed animals in Susan Simon's pre-K class at the Bresnahan School on Monday. They had visited the animals at Spencer-Peirce-Little Farm and were reenacting their visit.